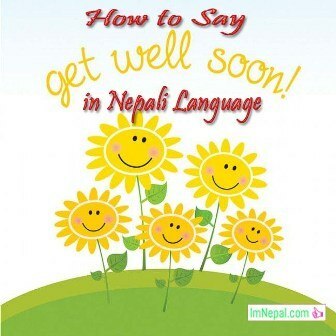 All the above-mentioned phrases are the correct way to say “Get Well Soon” in Nepali. Above mentioned three phrases refers to the different standards of one simple phrase. The first one “Timilai chadai Sancho hos” is used for friends or people of the same age. The second one “Tapai lai chadai Sancho hoss’’ is the respectful phrase and is used for older aged people. Similarly the third one “Talai chadai Sancho hoss” is a bit rude way but it can be used for a very close friend or to someone you don’t really care.